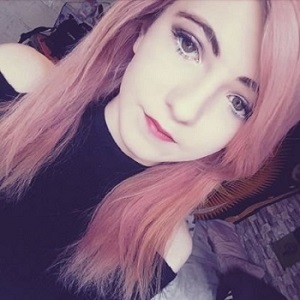 October is breast cancer awareness month and with one in eight UK women diagnosed with the condition at some point in their life, it's an issue that can't be ignored. Look Good, Feel Better is a charity that works with women and teenagers suffering as a result of their cancer treatments. Whether this is through giving free hair advice, make-up advice to running workshops all with a goal of helping women with any form of cancer, improving their self confidence. 'LGFB', for short, aim to provide people with a sense of normality and a friendly face at what is probably the worst time in their lives. They aim to help lift some of the weight off, not just by caking your face with make-up, but by bringing out you. By bringing out a smile they saw was there once before. Or just simply being there to help out. With this in mind, it's easy to say that the products must therefore be perfect, but this is a review. A relay of my thoughts. My first impressions of the brushes is whilst the packaging looks plain and simple; I'm dying to get inside. I'm pulling the brushes out and I can notice that some of the bristles are getting caught on the plastic corners of the packaging and by this point I can summarise I don't like the packaging. The brushes are not returning there anytime soon. Talking less about the aesthetics of a small plastic container, my initial thoughts as I hold the three brushes in my hand are that they are gorgeous. The eyeliner brush, quite frankly, could make my boyfriend a make-up artist, this just goes to show it really is functional as well as pretty looking. The brush is easy to hold and feels like a painting by number's brush in thickness, with a solid tip it creates fine lines as well as bold strokes so it really does give you more versatility with how you style your eyeliner than a standard eyeliner brush. The lines created are smooth, effortless and most importantly, exactly where i want them. Another positive about this brush is that not only does it help with precision, it's also soft on your eyelids. When it comes to make-up application, I'll be honest with you, I'm a bit of a rookie. I tend to stick with just concealer, foundation and powder; none of this complex contouring crap. As much as I'd love to learn how to do it, I'm even considering taking a short level 2 M.U.A course in order to try and learn how, there's something about simple layering and the comfort and everyday ease of it all that I quite like. This is where the blending brush comes in handy, it's soft bristles are really good for blending in my Seventeeen under-eye concealer, as well as my Rimmel concealer. As well as this I love it for applying blusher, as I tend not to wear very much of it a standard large brush would be inappropriate. (and I tend to just cake things on when I use larger brushes). I use this to blend in my Seventeen Cheek Stamp, as I feel the given brush for this doesn't give enough blend, and it really helps smoothen off areas where the blusher ends/foundation begins and just creates a wholesome cohesion. By far my favourite brush in the LGFB collection, this powder brush is just like a little fluff ball on your face; it's so soft and smooth to the touch whilst still offering the function that's needed. This powder brush, much like the rest of the Look Good Feel Better brush set, isn't just a pretty face, the taklon bristles on this brush take credit for the way in which the brush carries powder across my face so well; aiding an even coverage. 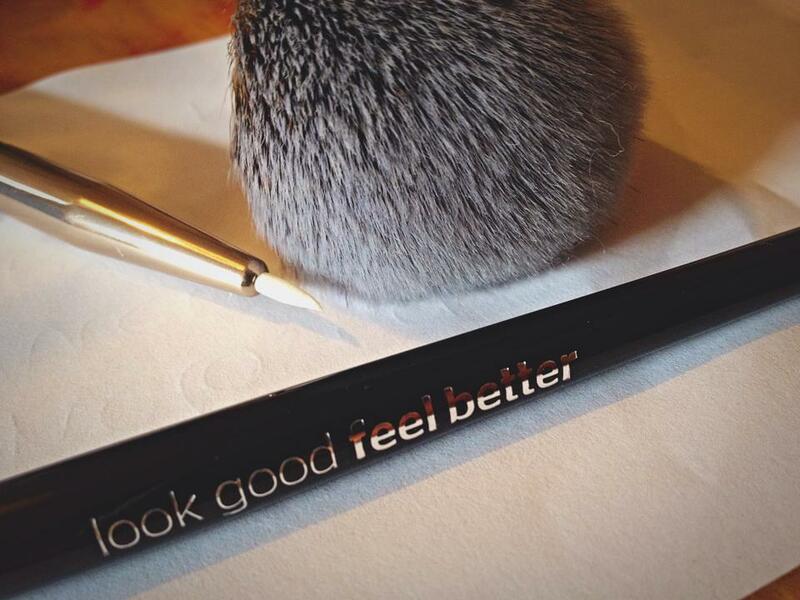 What's great about the Look Good Feel Better brush collection is that 12% of the profits goes to the LGFB charity, who help women feel better about the visible side effects of their cancer treatment. Find out more about the LGFB charity here. A beautiful idea...and a beautiful set of brushes.